The ultimate bedside accessory, this nightstand offers table and storage space within arms reach of your bed. Its compact design is light and convenient, while its 4 small storage drawers are perfect for holding delicate items. Infused with a warm, cottage style this nightstand features tapered legs and edges, in addition to small metal hardware. Complete your child's bedroom with this stylish and convenient nightstand. 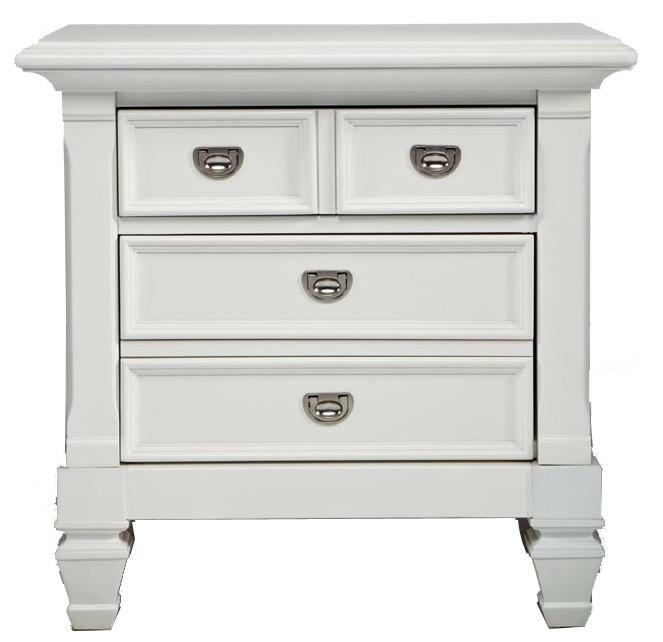 The Belmar Youth 4 Drawer Nightstand by Holland House at Miskelly Furniture in the Jackson, Pearl, Madison, Ridgeland, Flowood Mississippi area. Product availability may vary. Contact us for the most current availability on this product.